It was a holiday season event that had been long in the planning by Shepherd of The Lambs, Marc Baron. 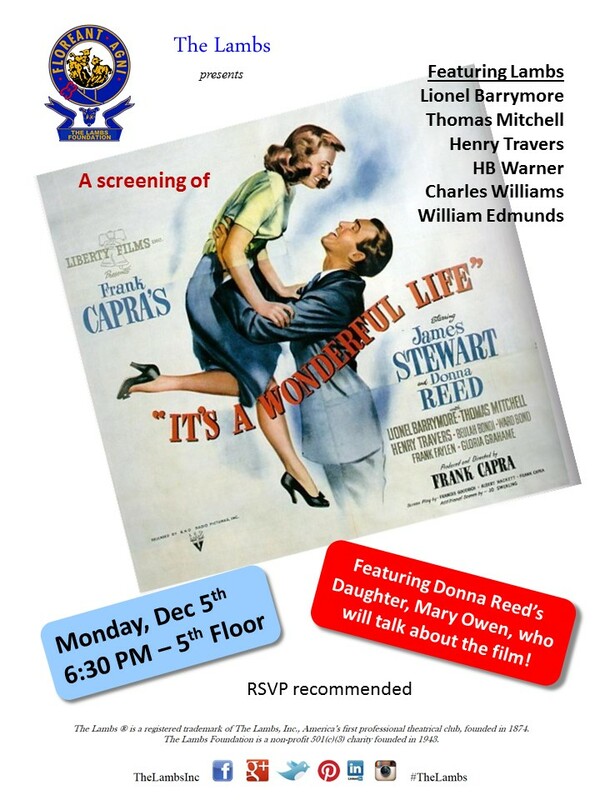 As the titular leader of America’s oldest theatrical club, Baron wanted to share Frank Capra’s film classic, “It’s a Wonderful Life,” with an eye to affectionately remembering the half dozen members of The Lambs who had roles in what the New York Times has called, “one of Hollywood’s most lastingly popular films.” Those actors included William Edmunds, Charles Williams, and H B Warner, with major roles for Lionel Barrymore as the sinister Mr. Potter, Thomas Mitchell as Uncle Billy Bailey, and Henry Travers portraying the beloved character of the guardian angel, Clarence Odbody. The evening would take on a special magic with the guest appearance of Mary Owen, daughter of actress Donna Reed, who co-starred in the film masterpiece with actor James Stewart. 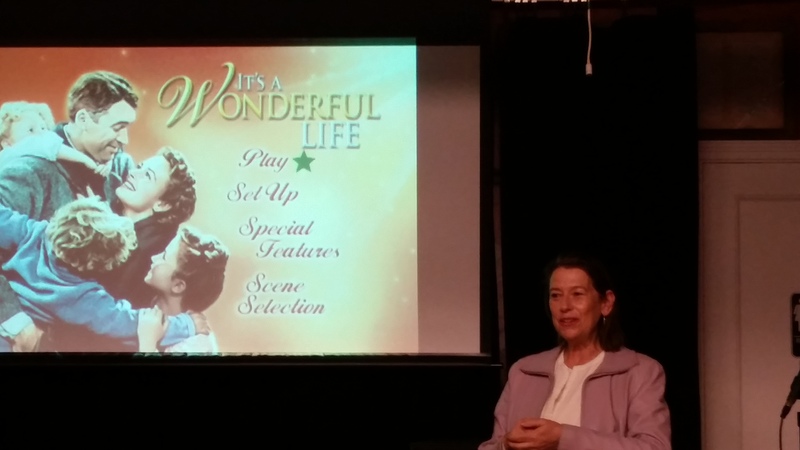 The highlight of the evening would be Miss Owen’s sharing of her personal memories and reflections surrounding her mother’s winningly tender, girl-next-door performance as Mary Hatch, opposite Mr. Stewart as the much-conflicted small town banker, George Bailey, who would soon become her husband in the little village of Bedford Falls. Miss Owen began her remarks by explaining that the 1946 movie (which she, herself, had never seen until the 1970’s), was the first return to film by both Stewart and Capra following their service for the war effort during WW II. Stewart enlisted in the Army Air Corps in 1941 and would rise to the rank of Colonel by war’s end. For his part, Capra served as director for most of the government’s “Why We Fight” propaganda film series during the war. Owen suggested that both men felt a bit of insecurity returning to the world of Hollywood after so long an absence. Regarding her first viewing of the film, Owen sweetly described how astonished she was by her mother’s youth, beauty and her exceptional dancing skill in the picture’s memorable Charleston dance sequence in the gymnasium. (Amazingly, that sliding gym floor and the hidden swimming pool below are reportedly still in use at Beverly Hills High School). Next, the audience learned that Mr. Stewart was apparently a bit hesitant when it came time to film the young couple’s first kiss, but ultimately director Capra was so impressed by the on-screen passion of that moment that he eliminated the dialogue that was to follow lest it diminish the impact. Owen went on to explain that the film was very unsuccessful in its initial release, and lost money for the producers, but it was interesting to hear Owen’s impression that Mr. Stewart laid some of the blame for the box office failure at the door of her mother, a young ingénue lacking star power and less well known at the time. It was not until holiday telecasts of the film began in the 1970’s that its status as a classic evolved. Stewart must have reassessed his view as well, reportedly telling English broadcaster, Michael Parkinson, in a 1973 interview, that out of all the films he had made, It’s Wonderful Life was his favorite. As Miss Owen concluded her remarks and the screening began, the trademark Liberty Bells of this Liberty Films Production chimed resoundingly to begin the picture’s opening credits. 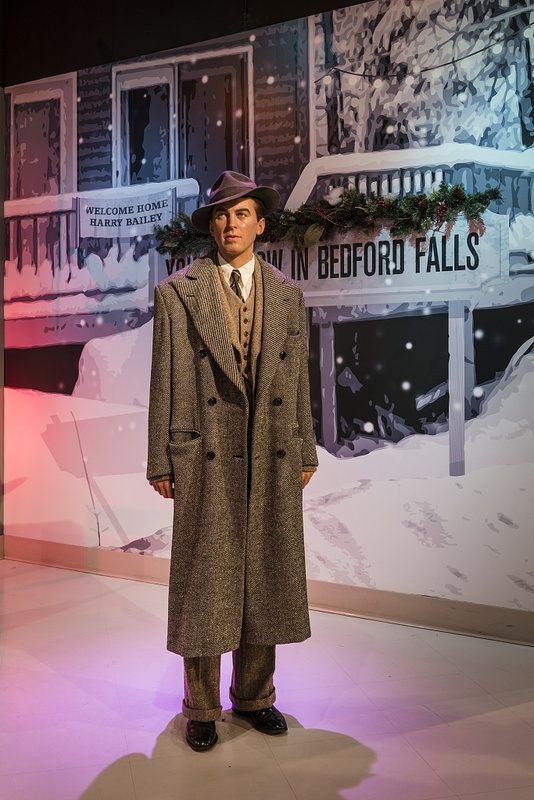 This select audience was off to the world of Bedford Falls to pleasantly and proudly revisit this cinematic gem featuring so many fellow Lambs, while having become such a treasured and integral part of the Christmas season year after year. This entry was posted in BroadwayStars.com, Charles Williams, Donna Reed, Donna Reed Heritage Museum, Frank Capra, H B Warner, Henry Travers, It's a Wonderful Life, James Stewart, Lionel Barrymore, Marc Baron, Mary Owen, Movie Reviews, The Lambs Inc., TheLambsClub.org, ThePeoplesCritic.com, Thomas Mitchell, Willliam Edmunds and tagged BroadwayStars.com, Charles Williams, Donna Reed, Donna Reed Heritage Museum, H B Warner, Henry Travers, It's a Wonderful Life, James Stewart, Lionel Barrymore, Marc Baron, Mary Owen, The Lambs Inc., TheLambsClub.org, ThePeoplesCritic.com, Thomas Mitchell, William Edmunds. Bookmark the permalink.